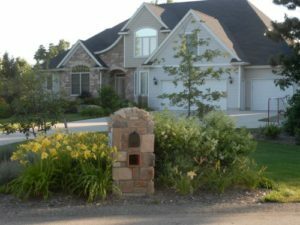 The client built a new home and had a blank slate to work with. 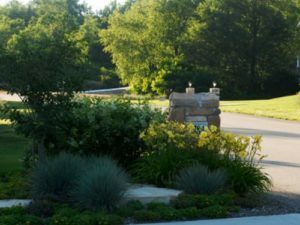 We added perennial gardens along the front walk, drive and around mailbox for a warm welcome and curb appeal. 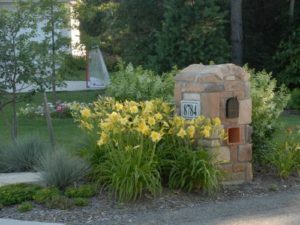 The perennials chosen bloom at different times throughout the season for seasonal bursts of color. 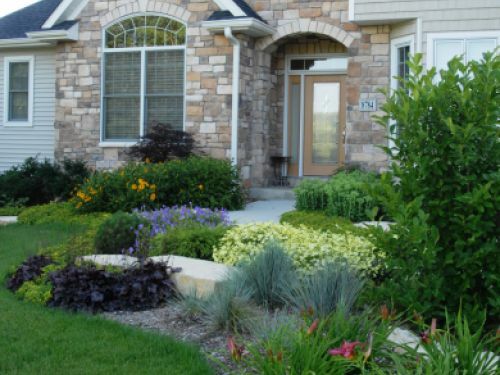 Grasses and evergreen shrubs provide winter interest. 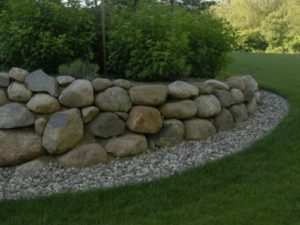 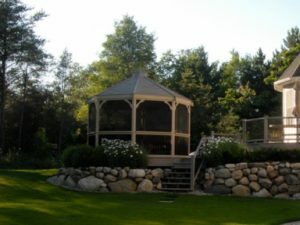 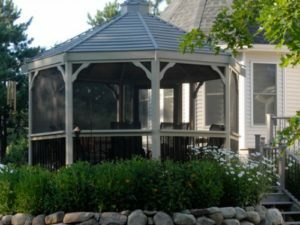 A boulder retaining wall in the back yard around the gazebo creates horizontal planes and vertical interest.